Bulawayo (Athlone) Cemetery is a large Civil Cemetery in Bulawayo town. Starting from Empire House (the Branch and Headquarters of the Legion) on the corner of 6th Avenue and Main Street, drive north along the Main Street for 1.2 kilometres to a crossroads where Main Street becomes Athlone Avenue. Continue along Athlone Avenue for a further 2 kilometres and the Civil Cemetery will be found on the right, the inconspicuous entrance being about 150 metres before the railway bridge. 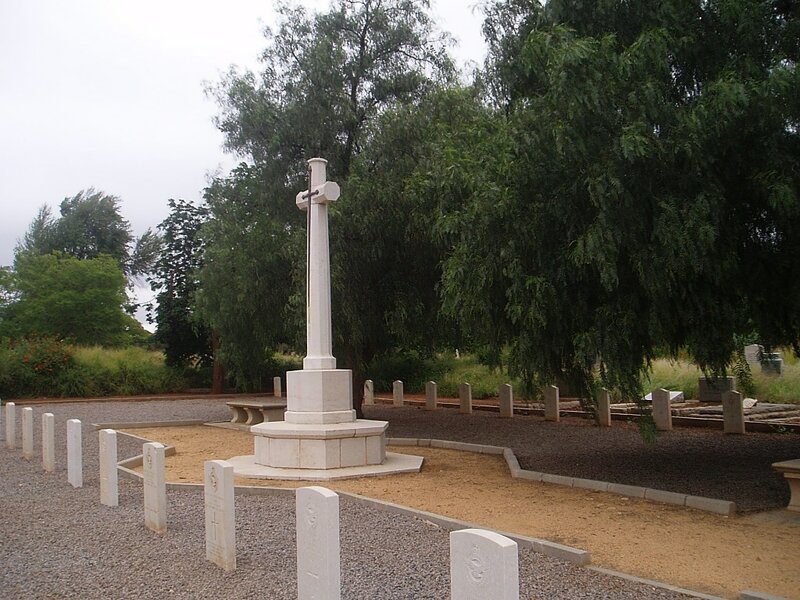 The Commission plot is easily identified by the Cross of Sacrifice. 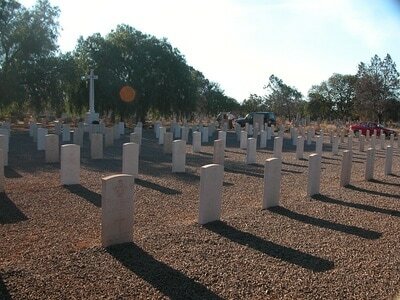 Bulawayo (Athlone) Cemetery is open every day between 06:00 and 18:00. Bulawayo (Athlone) Cemetery belongs to the Town Council. 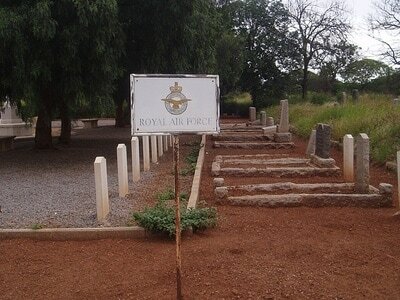 (Here was buried Sir Charles Coghland, the first Prime Minister of Southern Rhodesia; but in 1930 he was reburied 43 kilometres away on the Matopo Hills, near the graves of Rhodes and Jameson). 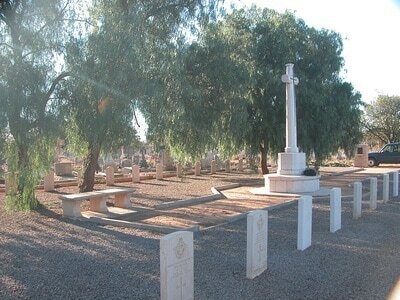 There are 7 Commonwealth burials of the 1914-1918 war and a further 133 of the 1939-1945 war. There are also 24 non world war burials and 6 Greek burials.